Large US firms are losing 182 days of employee productivity every year due to over complex security. IS Decisions research highlights a failure of both US and UK businesses to find the right balance between user security and user productivity. Our research reveals that on average, each (US) employee loses 21.88 minutes every week because of complex IT security procedures. Across a large organization with 250 employees, that time adds up to 3.8 days lost productivity a week or 182 days a year. Even SMEs suffer lost productivity to the extent of 21.9 days a year (based on companies with 30 employees). These results come from our survey of 500 US and UK organizations which is looking into the effect of compromised login credentials and the cost of security on productivity. The research shows that organizations are becoming more aware of the effect that complex security has on productivity, with 60% saying the day-to-day impact of security on employee productivity is increasing. 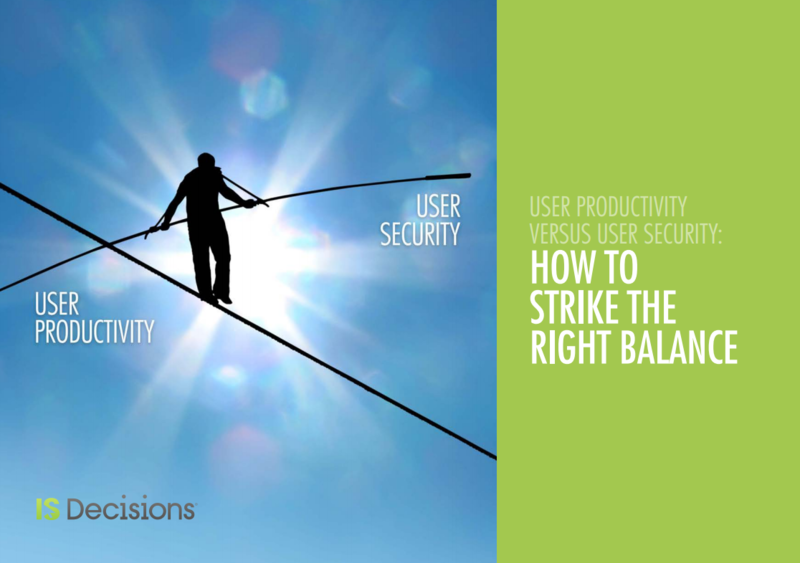 Read the report: User Security vs User Productivity: How to strike the right balance.